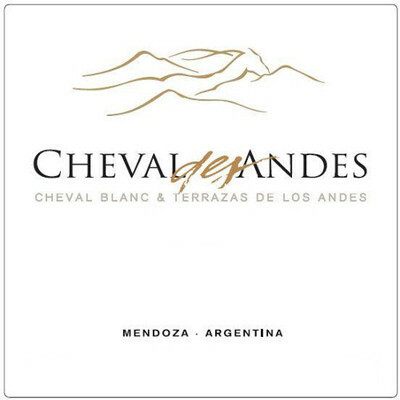 The 2009 Cheval des Andes is a blend produced with grapes grown in Las Compuertas, in Lujan de Cuyo, from vineyards planted in 1929. It is a big, ripe blend of 59% Malbec, 36% Cabernet Sauvignon and 5% Petit Verdot which is very deep purple-colored, with a bright rim and an opaque center. The nose is completely closed and ungiving, so you need to exercise your wrist and swirl your glass around energetically and you’ll get rewarded with subtle and complex notes of forest floor, leather, cigar box, and cured meat, but especially shiny, perfectly ripe black fruit aromas. The palate is medium to full-bodied, with velvety tannins, superb integration of the oak and focused flavors of cassis, blueberries, soil and faint violets. Great in a slightly international style, a little ripe. A big, ripe Argentine Cheval. Drink 2015-2022.